Authorities in the South Bay think a burglary and sexual assault that happened a week apart might have been committed by the same man. 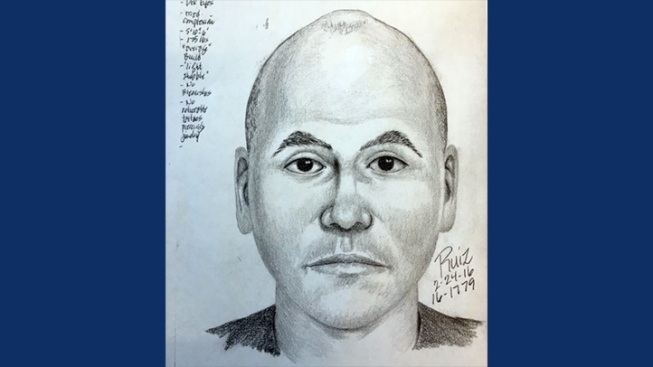 Police released a sketch Thursday of the man investigators believe sexually assaulted one woman and broke into another’s home in Santa Clara. Both incidents occurred at apartments in the vicinity of Lick Mill Boulevard and Hope Drive, police said. "We think someone knows this person and if they do, please give us a call," Santa Clara police Lt. Kurt Clarke said. On Feb. 13, around 1:30 a.m., a man went inside an apartment and sexually assaulted a female who was inside, then fled, according to police. Then, a week later, someone broke into a unit at another apartment complex at the same intersection, but a woman there managed to scare the man away. Investigators believe the man behind the sexual assault is the same man in the break-in based on the proximity between both incidents, the similar suspect descriptions and how they occurred on a Saturday during the early morning hours, police said. Police describe the suspect as balding, light-skinned and about 30 years old. He stands about 5 foot 10 inches tall and weighs 180 pounds. Residents in the area are asked to call 911 if they see any suspicious activity. Anyone with information on either case is asked to contact Santa Clara police at 408-615-4813.